Hey WL&S babes! 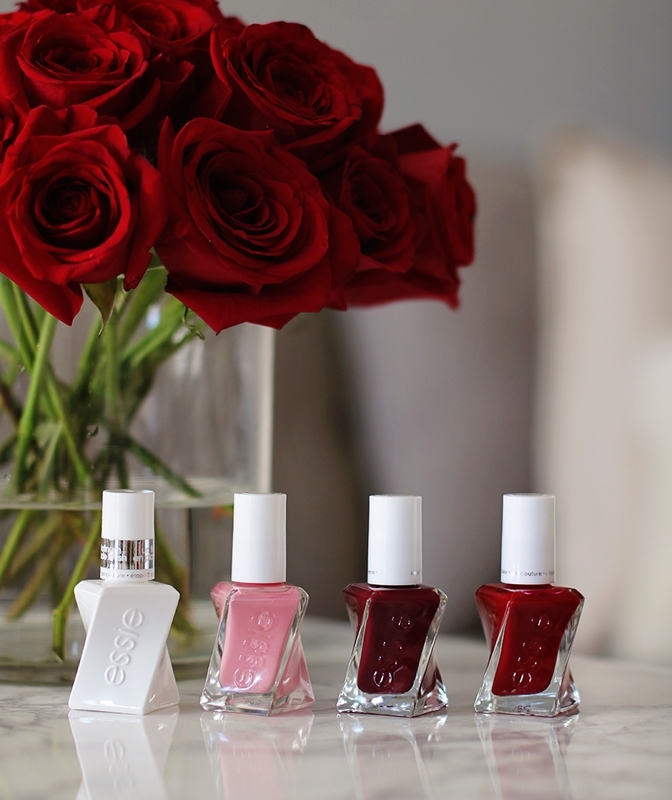 I’m so excited to partner with Essie today to give away FIVE sets of these Gel Couture colors (each set is a $45 value). Essie's Gel Couture is my favorite because the color selection is amazing and the polish lasts way longer than normal polish. The set includes the colors shown here: Platinum Top Coat, Stitch By Stitch, Gala‑Vanting, Bubbles Only. Head over to my Instagram page to enter (linked here). TODAY’S BONUS ENTRY: Follow me on Twitter (linked here). Due to the nature of this giveaway, the contest is open to US residents only. Essie ships within the US only. There will be more than $5,000 worth of prizes and 24 winners over the course of the 10 days! I've partnered with some of my favorite brands and bloggers to give away some of my very favorite things! There will be a NEW GIVEAWAY EACH DAY and most giveaways have multiple winners, so tag your friends so they can have a chance to win, too. There will also be a bonus entry on my blog most of the 10 days, so be sure to check back daily!